Yank Wilson is an agent with American Intelligence. When we say he is an agent, we must be specific in that he is referred to throughout most of his recorded adventures as not just an operative but a "Super Spy", whatever that means. By the use on a few occasions of quotes around the name 'Yank' it is apparent that it is a nickname, not his real first name. What that real name is, however, a mystery because he is never referred to by anything other than Yank, Wilson, or his codename, Q-4. That is not the only unknown surrounding Wilson. Also a mystery is, well, everything about him other than he is male, likely in his early 30s, has a handsome stern face, clean-shaven and has short wavy blond hair. We learn no background about him but since he is adept at flying several types of aircraft he obviously has some training there. He also knows a bit about boats and is comfortable at sea as he is in the air. He does, halfway through his adventures, identify himself as 'Captain Wilson' which would indicate he might really be working for Military Intelligence. He also thanks his Army flight training for the skills he currently has so no doubt he served. Whether that was in the past or ongoing is not certain. In a different adventure he reflects on his being 'Yank Wilson of the Intelligence' - an unusual turn of phrase though later he is recognized as 'Wilson of the United States Intelligence". On more than one occasion he is recognized while out in the field so there is no doubt he has been active for some time, enough for foreign governments to build a sizable dossier on him and to know that if he is on the scene, their mission is certainly in jeopardy. Yank Wilson is an honorable man. If he says he will stop you, he will. If he vows to get you, you will be caught. In one mission he must swear allegiance to the bad guys' cause but he makes sure his fingers are crossed behind his back so he is not really telling a lie. This dedication is shown in another case where he and his agency is said to be "working feverishly through devious legal channels" (interesting choice of words). Being honorable does not mean he is not willing to get physical when needed. He definitely enjoys a good tussle and gets into one in virtually every case. Hitting first and hard and often is one of Wilson's trademarks and using the threat of violence is not something he would squawk at. "Confess or I'll break every bone in your body" he tells one prisoner. The man talked. 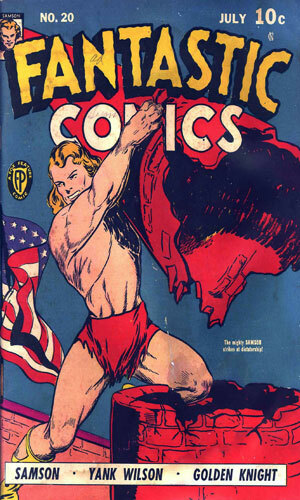 In 1939 the Golden Age of Comics was just getting started. 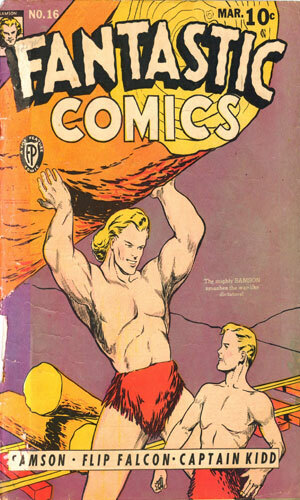 One of the early pioneers was V. S. Fox who started his own company after working at National Publications for a while and seeing the money that was in illustrated adventures. He created Fox Feature Syndicate which cranked out many different stories about a variety of characters. Several were spies, such as Lt. Drake of the Naval Intelligence and D-13. 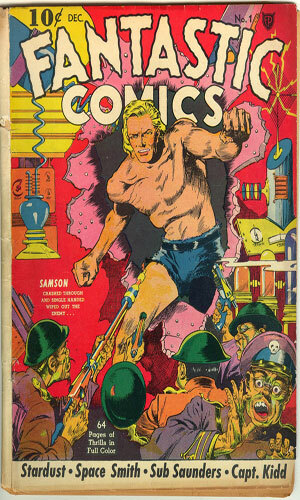 Fantastic Comics was a magazine which lasted 23 issues from 1939-1941 in which introduced Samson, Banshee, Black Fury, Nagana Queen of Evil, Stardust the Super Wizard, and, of course, Yank Wilson Super Spy Q-4. 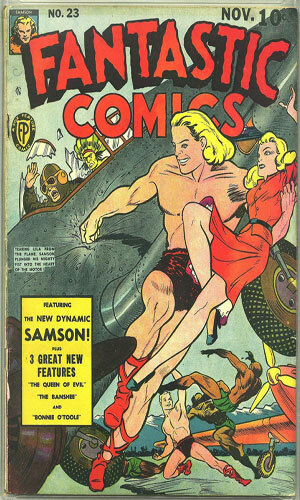 Of these, Samson would fare the best, probably because he was a direct descendant of the biblical character and possessed super strength unless someone cut his hair. The initial adventure of Super Spy Q-4 comes across as a futuristic tale with Wilson being identified as a 'Stratosphere Commander' who wears a space-age (for the late 30s) jumpsuit and flies what looks more like a rocket than a plane. He had to fight a mad ruler who, though an Earthling, used weapons that would have made Ming the Merciless envious. Whether the future aspect was intentional or not, from the second adventure on, the sci-fi portion was gone with the except of the odd mad scientist wanting to cause all sort of trouble. 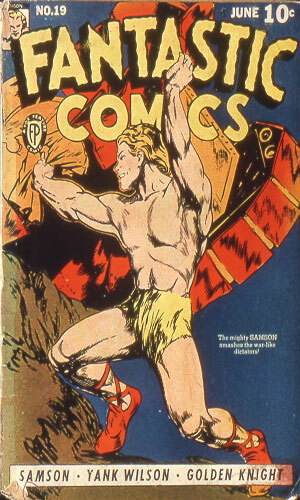 Yank Wilson was created by Jack Farr and he wrote and drew the first three adventures. 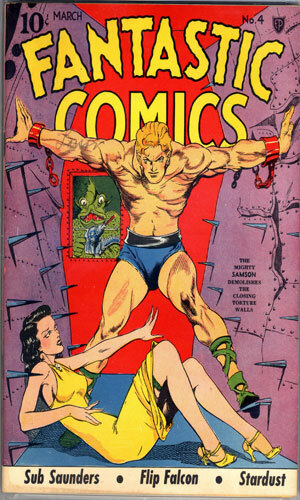 Then the credit for the comics changed to "Lance Ferguson" which appears to be a penname used by Fletcher Hanks or George Tuska or both or maybe others as well. Lance Ferguson was the name used from #4 through #11. From #12 on, it was a "Grant Ferguson" who was the story creator, with the exception of #21 and #23 for whom no one is marked on the copy as the author. 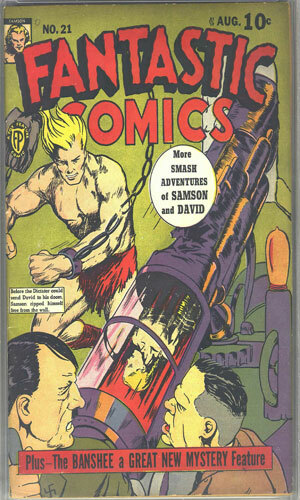 ComicBooksPlus.com credits Dennis Neville as the man behind #21. 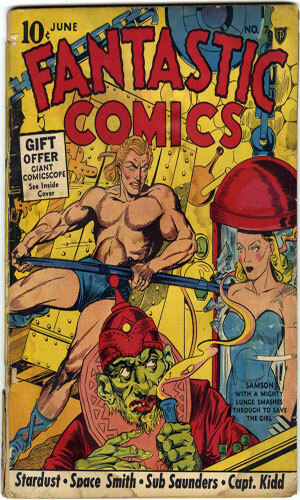 Fantastic Comics came to an end in Nov 1941 but several of the characters moved to a sister publication V... Comics for two issues. The second of those had another Yank Wilson story in it, this time identifying himself as 'Wilson of the F.B.I.' Then Wilson was gone forever. Well, in comic books, forever sometimes does not last that long. 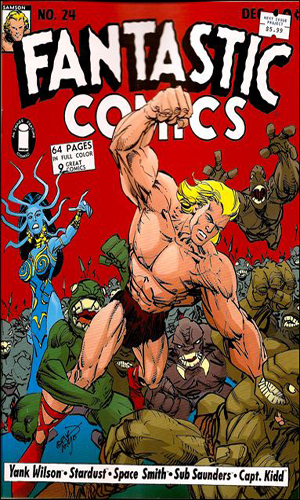 In the case of Yank Wilson, it lasted until 2008 when Image Comics decided to create an anthology series called the Next Issue Project where that firm would take a comic now in the Public Domain and create an issue as if it were the next one out. 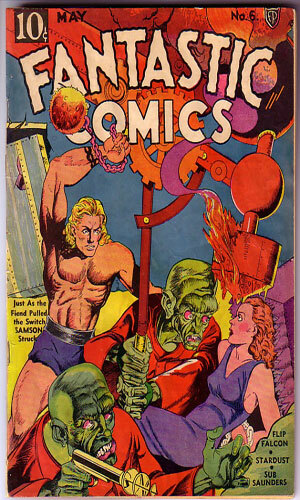 It worked its interesting magic on four titles, the first of which was Fantastic Comics. So in that year, they published issued #24. 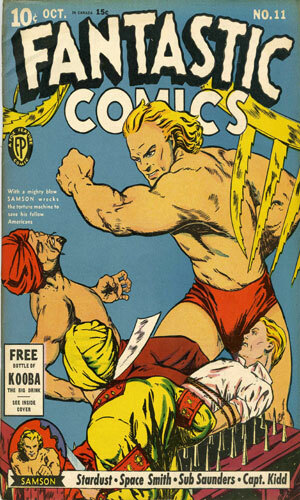 The Yank Wilson story was created by noted comic cartoonist Andy Kuhn. 1 The U.S.A. Is Invaded! 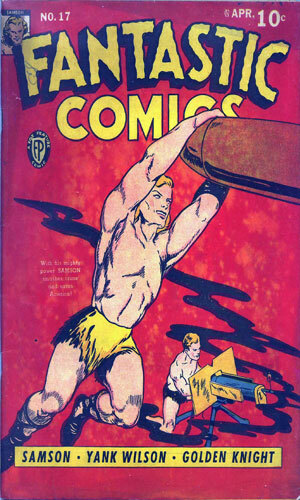 From Fantastic Comics #1 - When Raxola, the crazed Eskimongolian dictator of North Poloria, in the Artic (sic) decides to invade the U.S. with incredible forces and the dangerous Polar Plusene gas, the military must call on Yank Wilson, Stratosphere Commander, to lead the counter assault. 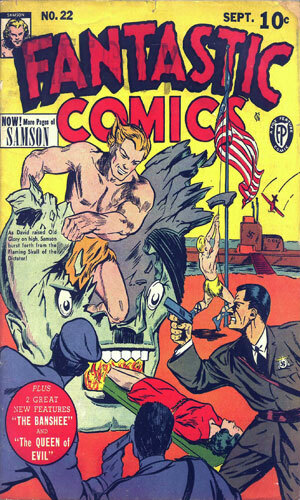 2 Sabotage Rampant in the U.S.A.
From Fantastic Comics #2 - Count Lustig Von Blackgard is leading his crew of enemy agents in a plot to destroy all 600 miles of docks in Manhattan to stop the US from sending supplies to war-torn Europe. Yank Wilson gets wind of the plot and leads the defense. 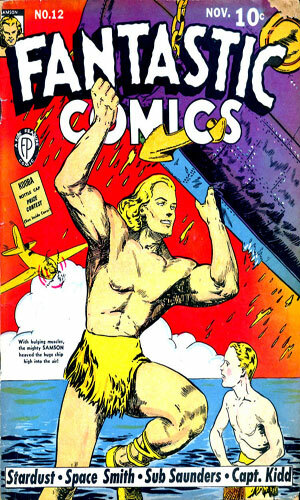 From Fantastic Comics #3 - Count Jorgka is the head bad guy out to smuggle the plans for American fortifications around Manhattan in a plot to later destroy the island. Q-4 joins with X-16 to prowl the alien dives looking for clues and finds lots. 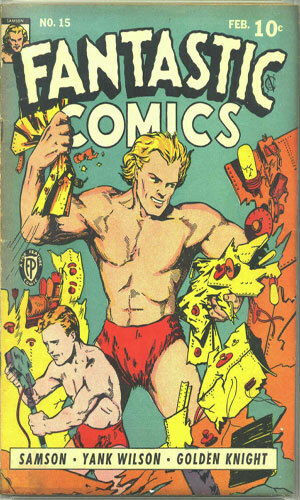 From Fantastic Comics #4 - The evil scientist Terro has created an explosive 10 times greater than anything seen before. He destroys a nearby village with it as proof. Q-4 investigates and discovers Terro's castle and goes for a visit. From Fantastic Comics #5 - The vicious Professor Snead has a fiendish invention in the form of high-powered flying torpedoes. Testing it destroys another village. 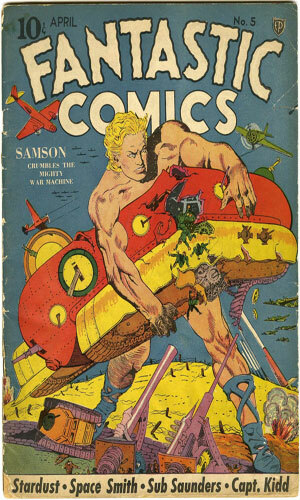 From Fantastic Comics #6 - Someone has sabotages the Navy's latest super-sized submarines. Q-4 is certain that it has to be the men who painted the ships. 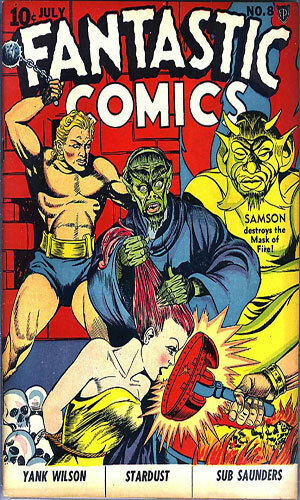 From Fantastic Comics #7 - The government has learned of a spy ring in New York planning to unleash 'noxio gas'. Yank Wilson, Q-4, is ordered to check into it but the spies try to blow him up first. 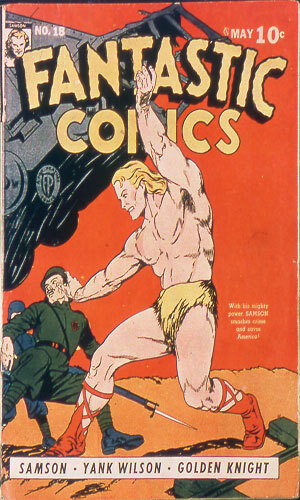 From Fantastic Comics #8 - Sneaky spies are taking pictures of military factories. When Yank Wilson, Q-4, discovers one doing so, he learns the group is staying at the House of Four Elms and decides to pay them a visit. From Fantastic Comics #9 - The Asian nation of Hondo is planning on ruling the Pacific after destroying the American battle fleet in Hawaii (issue came out a year before the attack on Pearl Harbor). 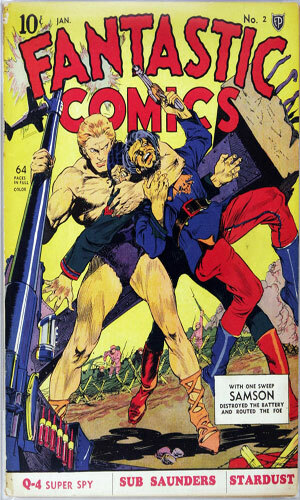 From Fantastic Comics #10 - Enemy Russmany spies led by Countess Gortz want to learn more about American innovations with its stratobombers and rocket interceptors. From Fantastic Comics #11 - Agents from Prussland posing as tourists are visiting a community in Greenland. The boss of Yank Wilson, Q-4, thinks it is a ploy to set up a base for that country from which to attack the US. He sends Wilson to check it out. From Fantastic Comics #12 - When a leading agent from Prussland crashes in Mexico, it becomes apparent to US Intelligence that they are establishing a base there. Yank Wilson is sent to find out where. From Fantastic Comics #13 - In Florida ready to start a vacation, Yank Wilson is directed by telegram to check out a Karl Wolff and his Black Hood gang of "fifth column and spies". From Fantastic Comics #14 - A Prussland spy ring is operating out of a Central American country with plans to attack the Panama Canal. 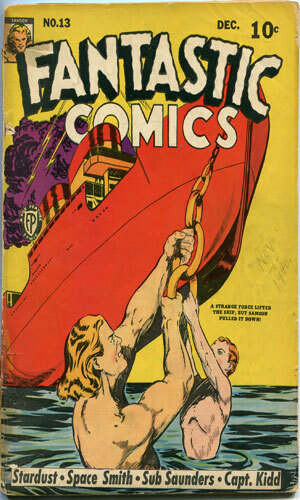 From Fantastic Comics #15 - An unknown country has 'clamped a submarine blockade' on the US. Yank Wilson's job is to find out the name of that country. Hint: it is the nation of Savmont. 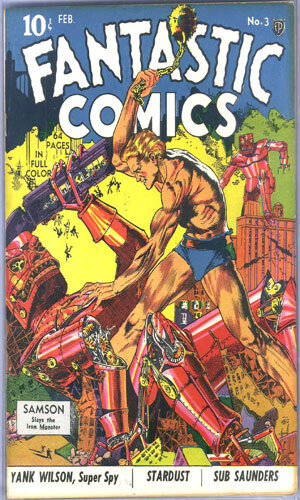 From Fantastic Comics #16 - The Pacific nation of Hondo is up to its tricks again, this time taking out an American battleship off Honolulu. Yank Wilson recommends interning all of Hondo descent just in case. 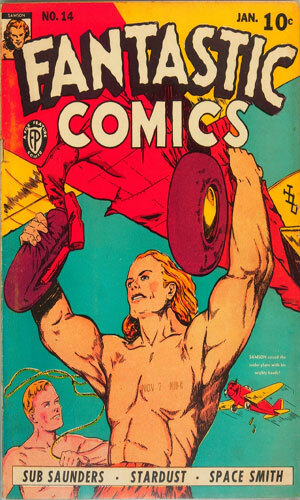 From Fantastic Comics #17 - A new fighter aircraft is sabotaged during a test flight and its plans are stolen. Yank Wilson, Q-4, is determined to find the enemy spies responsible. From Fantastic Comics #18 - More plans, this time for a new pursuit plane, have been stolen. When Yank Wilson goes in disguise to find the spies, he is immediately recognized and attacked. 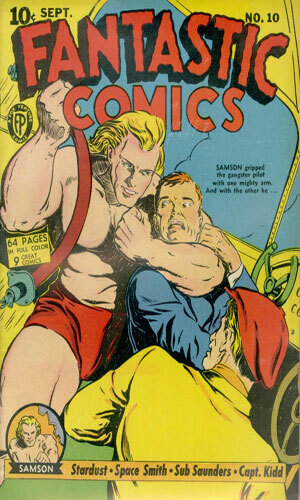 From Fantastic Comics #19 - When Yank Wilson is sent to bodyguard a British agent with submarine plans, he interrupts a hijacking at sea where a U-Boat is waiting. 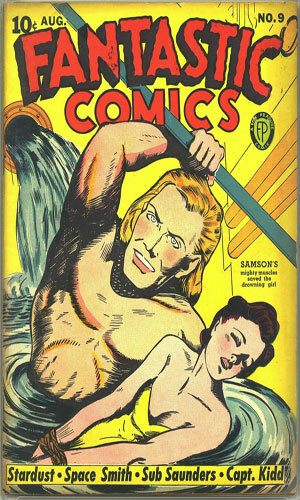 From Fantastic Comics #20 - On a tramp steamer bound for Manila, Yank Wilson is kidnapped, thrown overboard, captured again, and then things get interesting. - Note: the art style is incredibly different from all the other adventures. From Fantastic Comics #21 - Yank Wilson is assigned to be the bodyguard of Senorita Vallez, daughter of a South American President, who is being hunted by enemy agents but who is showing them how well she can take care of herself. From Fantastic Comics #22 - A secret envoy to the US named Don Alonzo Gonavo 'runs afoul of subversive agents while out night-clubbing'. Yank Wilson is called in to rescue him. From Fantastic Comics #23 - Saboteurs speeding from a factory they just booby-trapped run into Yank Wilson and his new friends, Bette and Moosefoot, who are now curious what is up. From V ... Comics #2 - No longer referred to as Q-4 or Super Spy, Yank Wilson responds when a munitions factory is almost blown up and the owner asks for help. Helping him are his friends, Bette and Moosefoot. Wilson identifies himself as "Yank Wilson of the F.B.I.". The concept of a B-movie, one that is not the main film but the lesser part of a double feature, has been around for almost as long as there have been movies. The same concept of an added attraction but not meant to be the lead or star held true in the comic book industry. When anthology magazines ruled as they did during the time of Yank Wilson's adventures, there were numerous publications who wanted to spread the genres around giving a little something to most everyone and spy fiction was definitely a part of package. 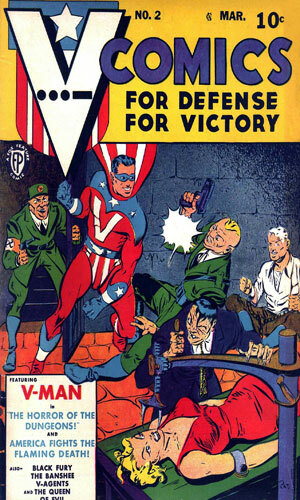 Of the many spies or counter-spies that the Golden Age of Comics gave us, one of the least memorable was Yank Wilson, which is a bit funny because few had the nerve to dub itself as "Super Spy" like Wilson did. The Wilson stories were sadly unimpressive with very ho-hum artwork and plots that felt like they were created even as the drawing were happening. Wilson gets wind of a caper. Wilson shows up and hit someone. Wilson gets hit over the head and taken prisoner. Wilson gets free and hits someone. Something blows up or crashes or runs into something. Wilson gets congratulated for being so resourceful. There are times when you eat something fluffy and it leaves you still feeling hungry. Other times you have a bad lingering taste in your mouth. And unfortunately there are those incidents where you are left with a bum tummy. Wilson gave me the latter.